Health is a multi-dimensional concept, capturing how people feel and function. The broad concept of Active and Healthy Ageing was proposed by the World Health Organisation (WHO) as the process of optimizing opportunities for health to enhance quality of life as people age. It applies to both individuals and population groups. 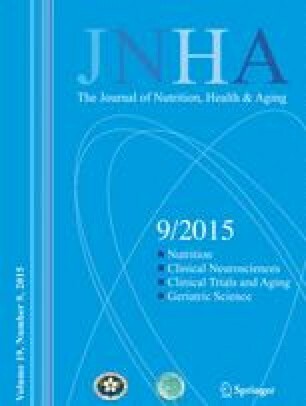 A universal Active and Healthy Ageing definition is not available and it may differ depending on the purpose of the definition and/or the questions raised. While the European Innovation Partnership on Active and Healthy Ageing (EIP on AHA) has had a major impact, a definition of Active and Healthy Ageing is urgently needed. A meeting was organised in Montpellier, France, October 20-21, 2014 as the annual conference of the EIP on AHA Reference Site MACVIA-LR (Contre les Maladies Chroniques pour un Vieillissement Actif en Languedoc Roussillon) to propose an operational definition of Active and Healthy Ageing including tools that may be used for this. The current paper describes the rationale and the process by which the aims of the meeting will be reached.